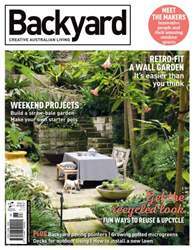 Welcome to the new-look Backyard, the magazine for those who don’t just dream of an amazing garden, they want to get out there and make it happen. If the backyard is where you gather with family and friends; if you want to do more in your backyard, be that build a garden bed or lay some paving; and if you want to get your kids involved too, Backyard is what you need. 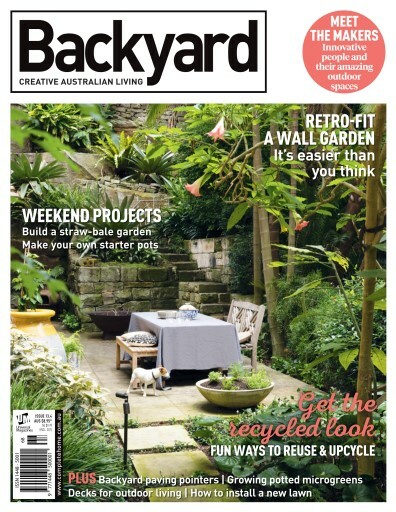 In this edition we show you how to turn toilet rolls and newspaper into seedling pots, provide step-by-step instructions for building raised straw-bale garden beds, and give you plenty of how-to advice for building decks, laying paving, establishing a vertical garden and installing turf. We also take a look at two young families who have created flourishing edible gardens and open the gates into six professionally designed gardens, giving you plenty of inspiration for your own backyard makeover.